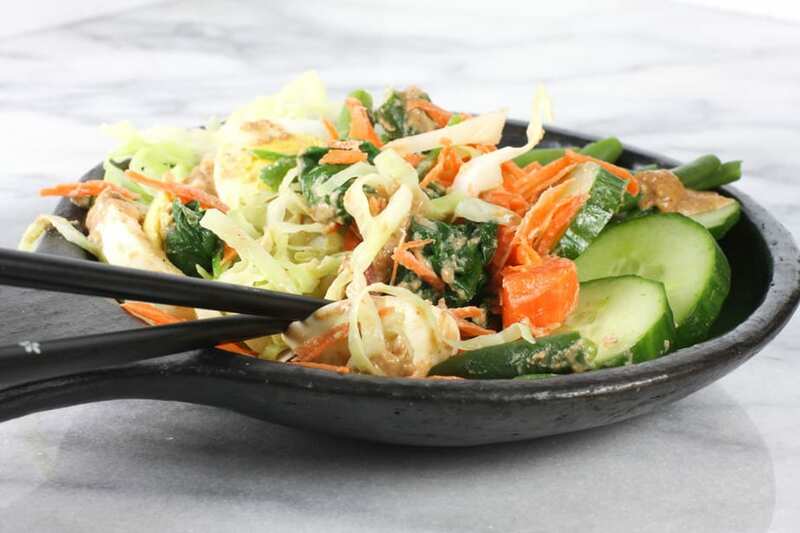 Gado Gado – Indonesian vegetable salad literally means mix mix. 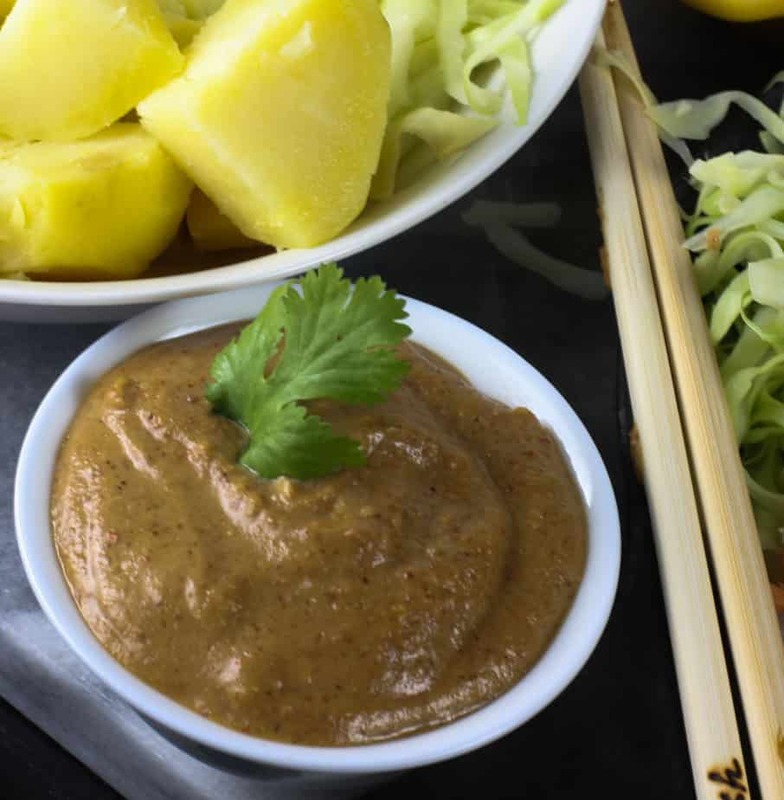 A mix of vegetables, tofu, bean sprouts and the quintessential peanut sauce or bumbu as it is called in the local language. Traditionally the bumbu is made to order as per an individual’s preference for how hot they want the sauce to be. A mix of varied vegetables is smothered in peanut sauce, sometimes topped with a Krupuk or a cracker. For this salad, I did not make an ‘on demand’ sauce. I tried to keep it a nice balance of hot, sweet and savory and I felt that it was really good the way it was. On some days I might go for a hotter version, but with the vegetables I had on hand, this sauce worked well. 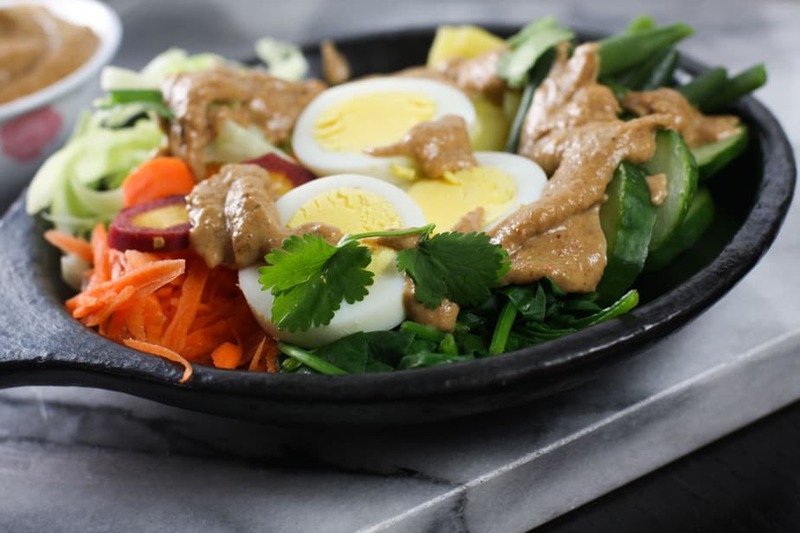 The reason I am talking more about the sauce is because even though Gado Gado is a salad, it is the sauce that makes the dish. 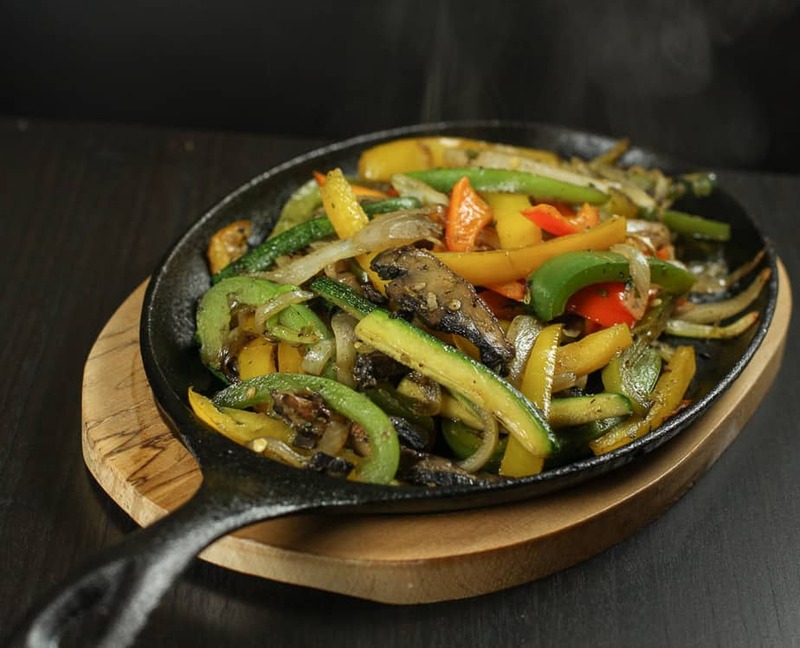 The rest is simply a combination of blanched or raw vegetables. What you need to know is that this is a deceptive looking bowl of salad. 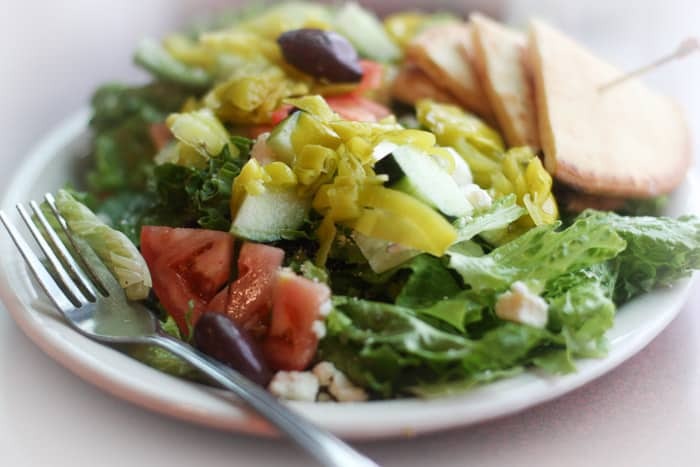 While you may think that you ate just some salad for lunch, this keeps you full for hours. 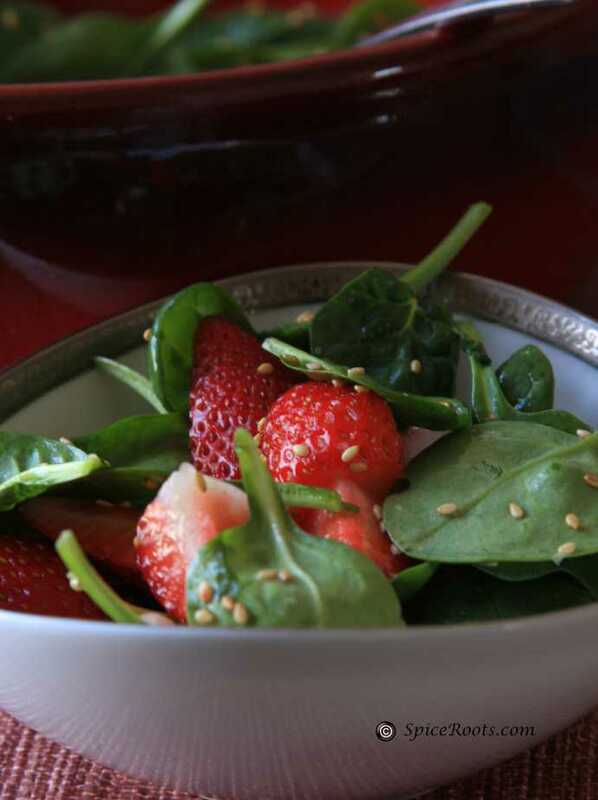 Nutritious, delicious, healthy and one good looking salad. This is what I am serving for my Progressive Eats Dinner this month for the “Soup’s on” theme. February is a month when we should indulge ourselves in all kinds of soups and salads to nourish the body for the rigorous work in spring. To me the rigorous work would mean spring cleaning my closet, but I digress. Hungry? Let’s go eat some soup and Salad. Coarsely grind the peanuts with the chillies and garlic. Dilute the tamarind and palm sugar in 1/4 cup water and add to the peanut mix. Blend into a crunchy or smooth consistency as per your liking. You may add in more water gradually and blend everything to a smooth consistency. Season with salt and Shrimp powder. Assemble the eggs, potatoes and all other vegetables into a bowl, pour over some peanut sauce on top and enjoy. Since this is basically just a mix of vegetables use what you have on hand and how much you think you will need. Other good vegetable additions are- chayote, Chinese spinach,water spinach, long beans, mung bean sprouts. Traditionally fried tofu and tempeh is added to the salad. You may choose to add those in. I’m not at all familiar with gado-gado, so this was a wonderful read for me. 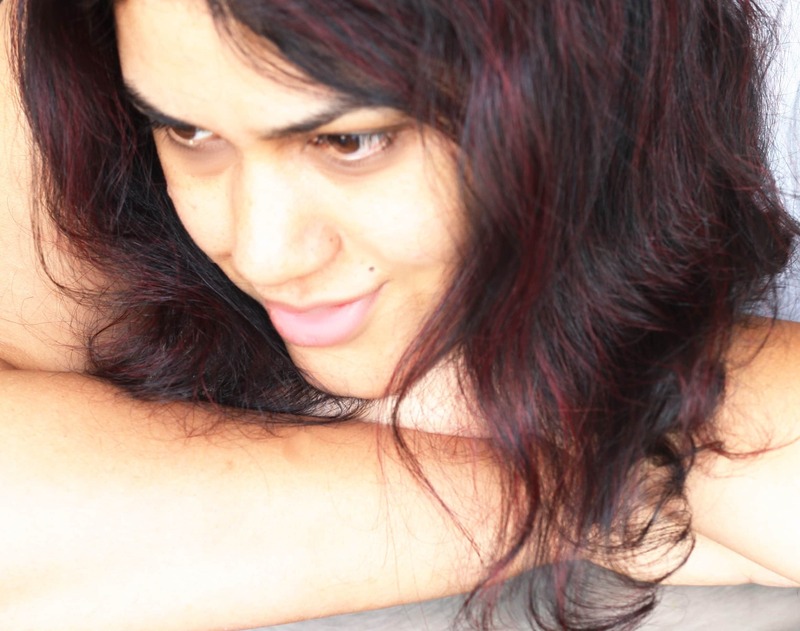 I’m also not familiar with palm jaggery – I need to google that one. I love sauces like this – you find so many uses for it once you have it on hand! Gado Gado is new to me and I must say it sounds incredibly delicious. 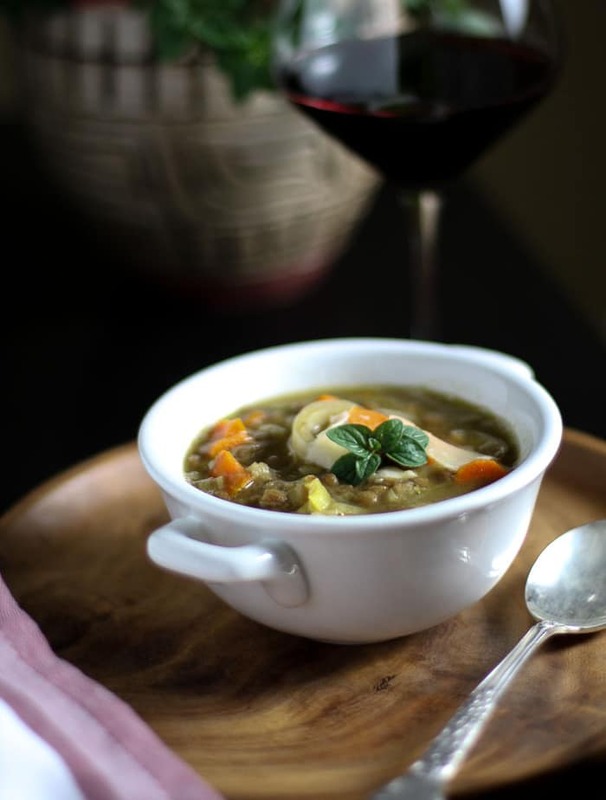 Just the perfect thing to go with our soup menu for this month’s Progressive Eats! Love your recipe for the sauce. Pinning it for future reference. 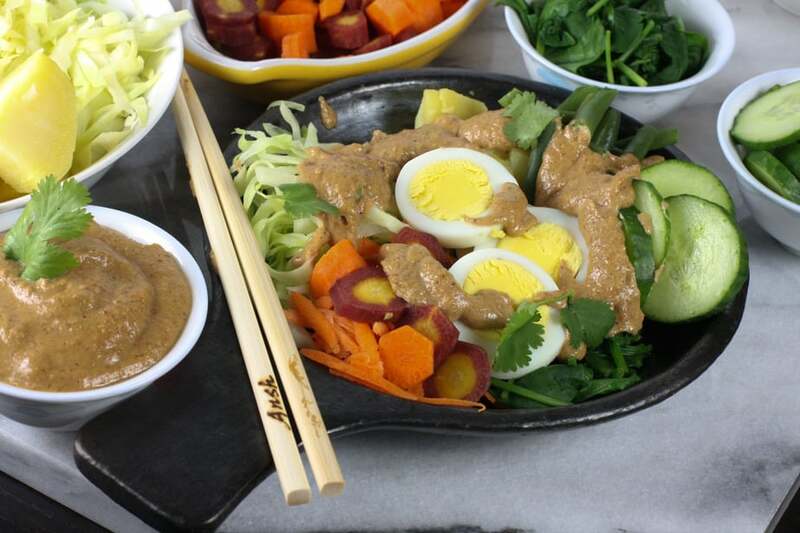 My dad first introduced me Gado Gado….will make it for him (sans shrimp powder) when he visits over summer. This looks like such a great healthy salad and that dressing sounds divine! This looks superb! Loads of flavor. And such an interesting dish — this is new to me. Love it! Thanks. It really is a great looking salad. 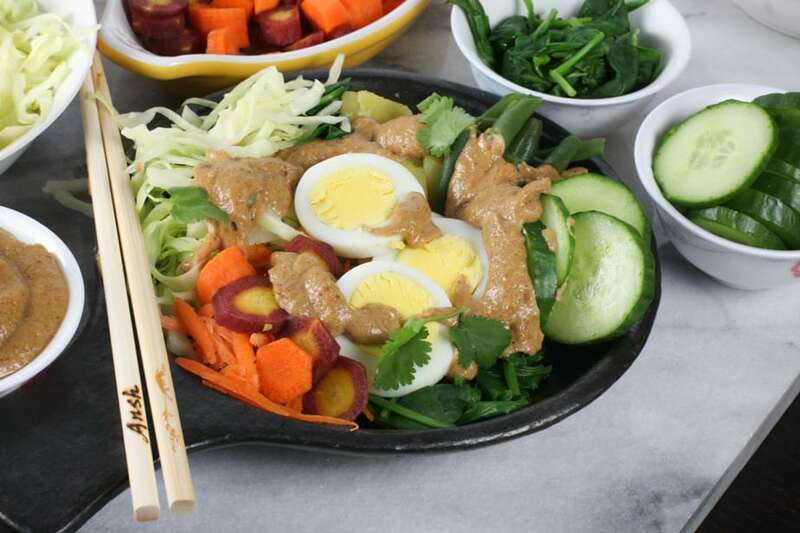 I’ve always wanted to try gado gado – thanks so much for sharing your recipe so I can make it at home now. Thank you Ansh for introducing me to a whole new salad that sounds perfectly delicious and amazing! I cannot wait to make this! This definitely looks like a good, hearty salad that would tide you over until your next meal. That dressing is definitely what it’s all about, the flavors packed into that unassuming little bowl sound out of this world! Incredibly delicious! 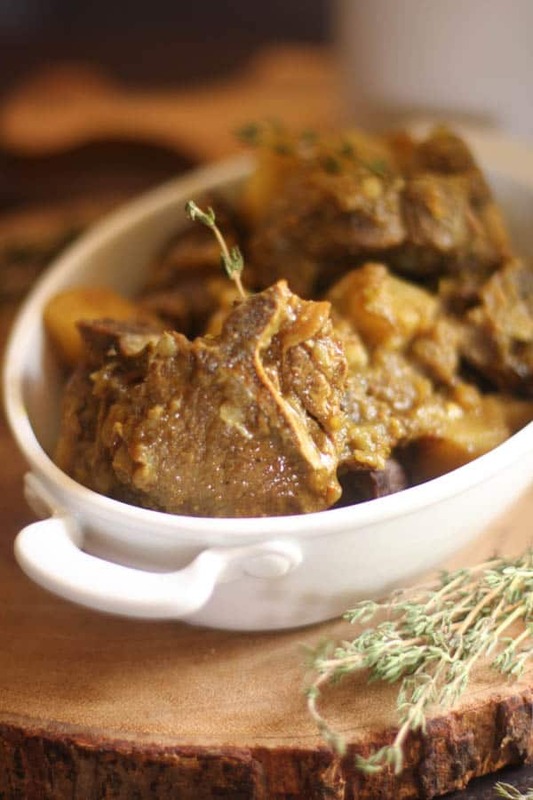 I love the sauce that you made, so flavorful and delicious! I am so glad to know what Gado Gado is—because I became an instant fan! The combination of ingredients and spicy peanut dressing sounds magnificent!! !